Cyberduck 4.9 adds support for Backblaze B2 Cloud Storage. This includes uploading large files, for files up to 10TB. B2 Cloud Storage support in Cyberduck gives you convenient access to low priced redundant and unlimited storage from your desktop. There have been requests since a long time that we should provide a way to mount remote server storage as a volume in the Finder.app and File Explorer on Windows, respectively. 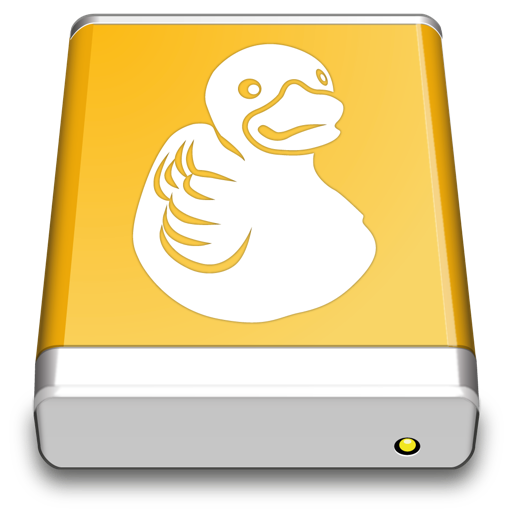 We are excited to announce a private beta for Mountain Duck – “Cyberduck for mounting volumes in the file explorer”. 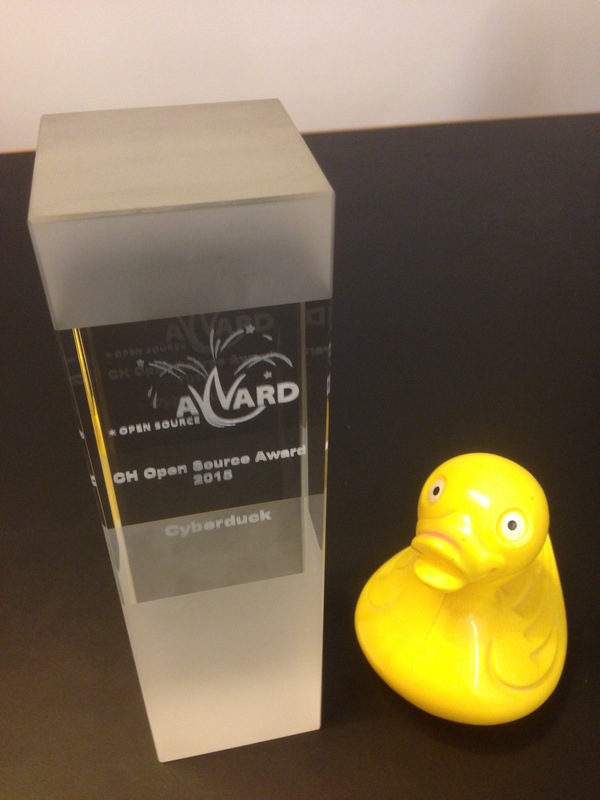 It comes with a minimal user interface as a status bar application supporting all protocols available in Cyberduck. Mountain Duck mounts the remote storage as a volume to allow any application to access the files for reading and writing. 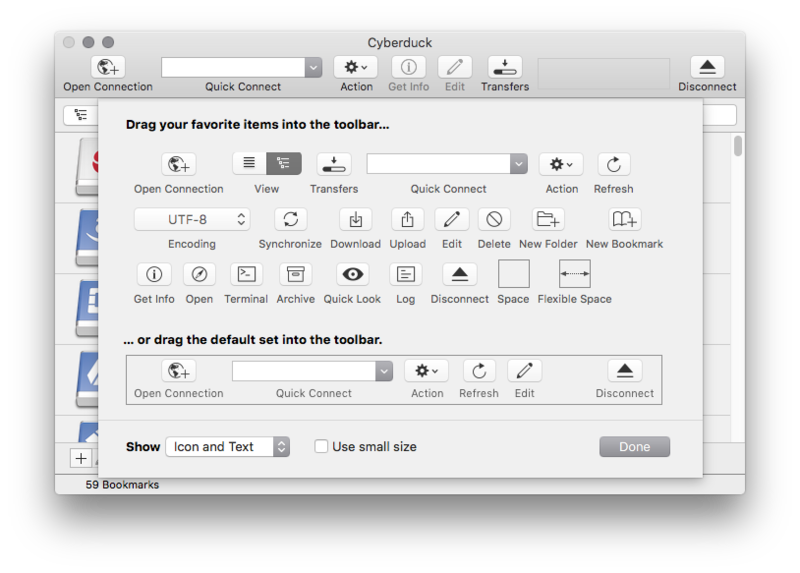 In contrary to other solutions available for the Mac, Mountain Duck requires no installation of kernel extensions or system libraries and runs sandboxed on OS X 10.8 or later. Please request an invite to the private beta and let us know how it works for you. 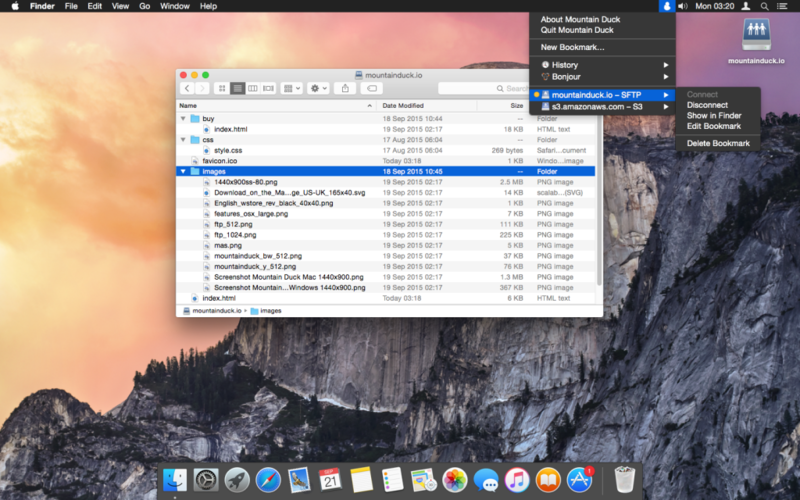 Mountain Duck will be available later this year in the Mac App Store and as a Windows Installer. We have introduced support for the iRODS protocol (refer to our documentation) in collaboration with iPlant at the BIO5 Institute. Below two excerpts from the iPlant Collaborative Press Release. iRODS is widely used by thousands globally to manage their data in a variety of disciplines, including hydrology, astronomy, engineering, and life sciences. Thus, the new Cyberduck plug-in effort led by iPlant will have a global impact to improve convenience of data transfer for scientists working with large-scale data. 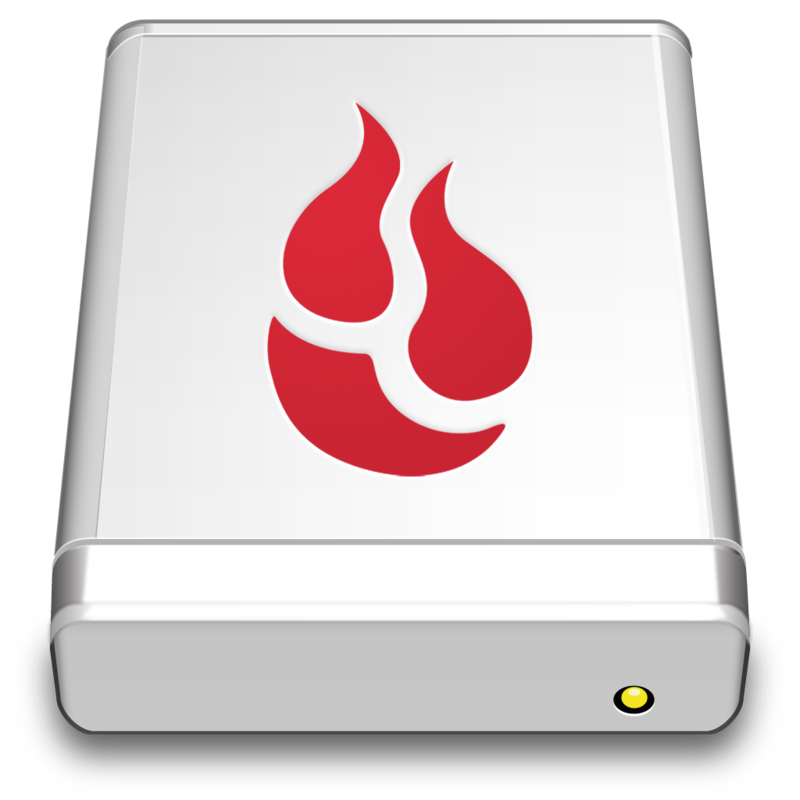 Using Cyberduck, Barthelson was able to download a 2.8 Gigabyte file in 3 minutes, transferring the content at a rate of approximately 1 Gigabyte per minute into iPlant’s Data Store, which provides a reliable and redundant repository for storage, analysis and sharing of scientific data. Cyberduck supports transfers between servers regardless of the protocol by simply opening two browser windows connected to different hosts and drag file and folders between. to copy all files. Use the --existing compare option for subsequent invocations to only transfer new and changed files.